This entry was posted in Links and tagged American dialect, American English, American English dialect, devil beat wife, dialect, fox's wedding, language, learning language, Rockford, Rockford Illinois, words. Bookmark the permalink. 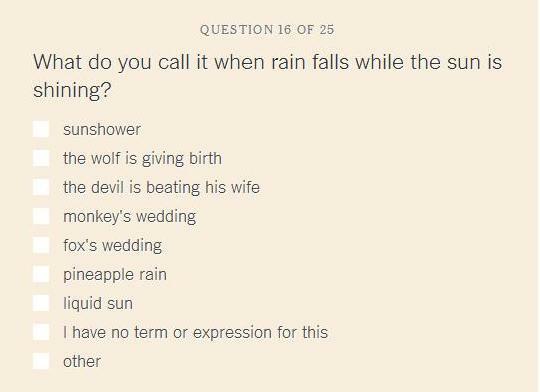 The test was a little frustrating for me because for several questions I use multiple terms! I wish it would have let me pick more than one! 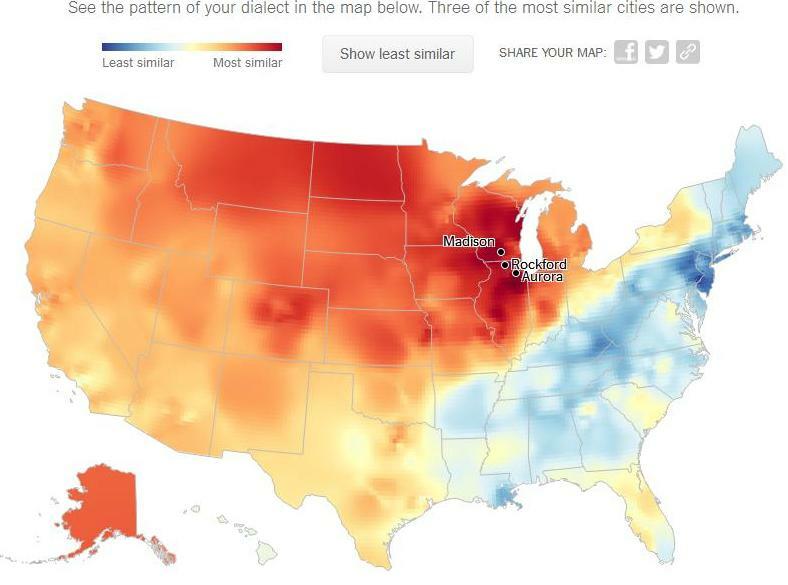 I felt that way, too, and so I did make some alternate picks the second time I took the test — and the test still correctly picked Rockford. I think the quiz judges some choices as more influential than others, perhaps.